Hallway windows are typically referring to hard-to-reach windows are second-story windows. Newer construction homes, as well as historic homes both, have these window types which can present difficulties in privacy and window coverings. Hard-to-reach windows often require custom window coverings that can be manually operated or electronically operated. Not only are these custom window coverings expensive they can also take away from aesthetics and sacrifice the natural sunlight these windows are designed to bring in. 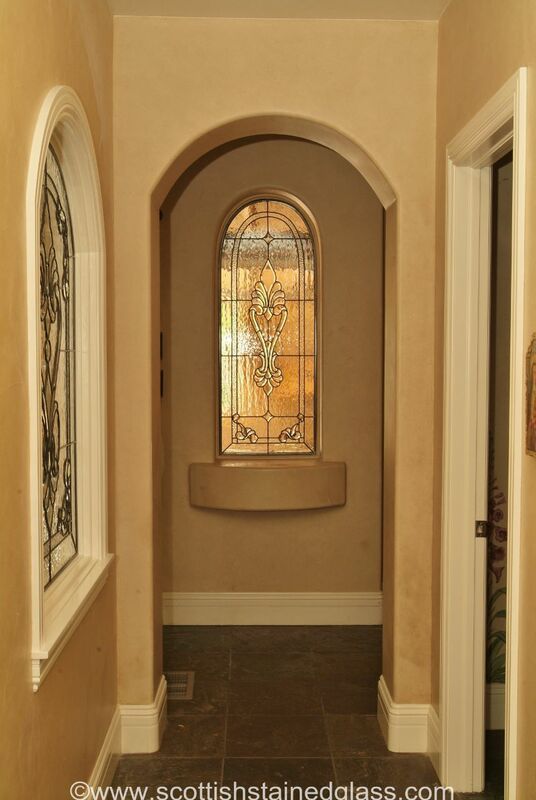 Custom stained glass is a great investment offering both beauty and function for these hallway windows. 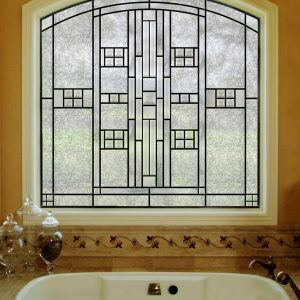 Custom stained glass offers a great privacy solution for the hard-to-reach windows in your home. Instead of spending excessive money on custom window coverings that can appear tacky, require repositioning throughout the day, and sacrifice natural sunlight, stained glass is the best alternative. 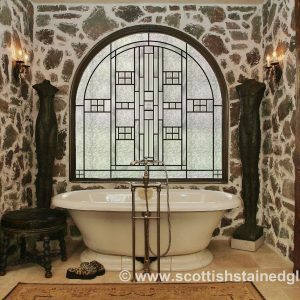 Custom stained glass can be designed in any style you’d like in order to complement the rest of your home. Stained glass is perfect for hallway windows, hard-to-reach windows, and second-story windows. All unwanted views will be obstructed while preserving great natural sunlight transmissions. These eye-catching features can really boost curb appeal as well as property value. These windows are typically designed by the builder to bring in an abundance of natural sunlight into your home– with stained glass, you don’t have to sacrifice aesthetics, privacy, or sunlight. Hard-to-reach windows and second-story windows can really become a statement piece when investing in custom stained glass. Leaded glass options can create exclusive, one-of-a-kind prisms that bounce throughout your home when the sun hits it just right. These stained glass features can really become eye-catching centerpieces that draw curb appeal. For those looking to limit the natural sunlight coming in through these hard-to-reach and second-story windows, colored stained glass can help homeowners control the amount of sunlight transmitted. Custom stained glass allows you to create any design for these hard-to-reach windows, giving homeowners the opportunity to showcase these windows rather than hide them. Hallway windows, hard-to-reach windows, and second-story windows can all take advantage of custom stained glass. Our custom builder allows you to create the designs of your dreams from scratch, adding all the details and styles you’re looking for. All you need is the exact dimensions of your window and some creativity. If there’s a certain design you’re looking to accomplish but can’t get it quite right on the custom builder, simply contact us! One of our stained glass artisans would love to work directly with you! For more information regarding custom stained glass for your hallway windows, please contact us!